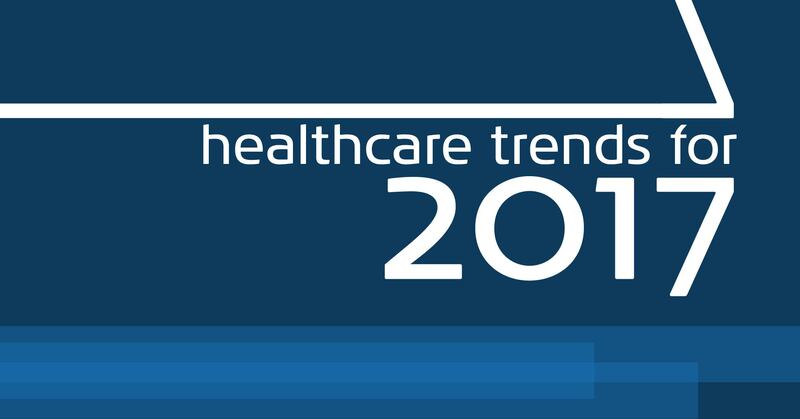 With a new year almost upon us, today's post will look at some of the healthcare industry's biggest trends. These issues, while not new, will undoubtedly take center stage over the next year - and beyond. The passing and implementation of the Affordable Care Act meant significant shifting in the health insurance market. Millions of new insured Americans meant greater risk to the insurers, with that cost being passed along to individual premiums. As a result, many Americans saw their insurance premiums go up. This trend is expected to continue into the new year, regardless of the future of the ACA. However, our next trend may help us shift towards a healthy control of these ballooning healthcare costs. Next year should see more significant movement away from the old healthcare model of volume-based care, where doctors and facilities receive a fee for service. This model encourages (by rewarding) seeing a high volume of patients without much consideration to efficiency or cost reduction. The new model is value-based care, where the doctor and facility can be rewarded for keeping Medicare costs low without compromising patient care. Under this model, the facility (called the accountable care organization or ACO) takes on the risk of losing funds for failing to meet quality targets, but stands to gain those funds if they can be effective and efficient. This model encourages proactive, preventive care before chronic health problems develop rather than the costly alternative - reactive care after a health problem is already serious. While focused on Medicare costs, value-based care also encourages a more efficient use of all resources, from supplies to technological investments. When more facilities take on this model to focus on efficiency, our nation's healthcare costs can begin to stabilize and even start to come down. The biggest unanswered question about 2017 and healthcare is the future of the Affordable Care Act. Additionally, potential changes will affect the healthcare for our veterans. As of now, it would only be conjecture to guess what was in store - and ample news sources are speculating with far more detail than is possible in this blog post. We will stay tuned to see what happens, but in the meantime, you can read some experts' thoughts here, here, and here. Prescription drug price hikes have made the news several times this year, bringing attention to the overall steady trend in the rise in prescription drug costs. While out-of-pocket costs for the privately-insured consumer is going down, overall costs are going up dramatically. This is resulting in pressure from insurance companies to regulate the costs of prescription drugs, an issue that will likely come up in Washington in 2017. In an effort to make healthcare more convenient, a boom in retail-based clinics is set to continue for 2017. From big box stores to your local drug store, small health clinics are popping up outside of the traditional office. A consumer-centered economy is pushing healthcare to cater to a population that values convenience, access, efficiency, and speed. With over 90% of healthcare facilities using electronic health records, it is no surprise that cyber security breaches are a critical issue for 2017. Phishing, email hacking, and ransomware threaten healthcare just as much as they do the banking, corporate, and political industry. With the recent addition of telemedicine, online medical records, and wearable health technology, the amount of personal information in the cloud is truly astounding. Superbugs and multi-drug resistant organisms have been in the news this year, with new strains emerging both in agriculture and in human patients. Thankfully, there are over 30 new antibiotics in the clinical trial pipeline going into 2017, however, only 13 are in the phase of testing. Antibiotic stewardship is still going to be a major concern for 2017. With nationwide efforts to reduce hospital-acquired infections in high gear, there has been some overall reduction in the number of patients becoming infected while in a hospital. However, achieving the greater reductions required by federal regulations as well as the healthcare community's own ethical goals, novel approaches and innovative technologies will be required. One-time cleaning technologies that destroy pathogens are already in use, including UV radiation and HPV misters. Continuous sanitizing surfaces are the next step in providing hospitals with the significant reductions in HAIs they are demanding, including copper-impregnated EOSCU. Every new year arrives with a combination of concern and hope. We are grateful to be a part of that hope. With the publication of the Sentara clinical study and a successful meeting with the CDC, EOSCU is poised to make 2017 safer, cleaner, more efficient, and more effective. Stay tuned to our blog to hear how!